I suspect that foxgloves (Digitalis) are taken for granted by many gardeners, and are even considered to be a nuisance by some. 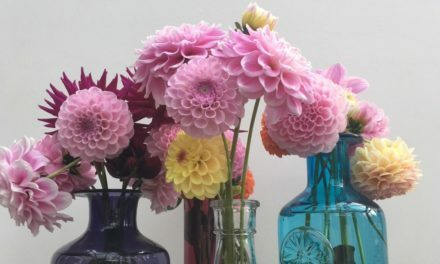 We tend to think of them as plants for shady places and woodlands, and do not appreciate their lovely upright form, beautiful flowers and importance to bees and other insects. 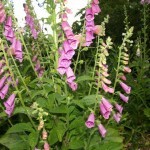 However, having had such a strange year, the foxgloves in my garden are providing much needed colour and form. They are growing throughout the garden, liking moist humus rich soil in some parts of the garden, but also growing in my dry sunny borders. 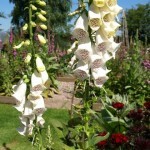 Foxgloves will really brighten up a shady area, particularly the white, paler pink and yellow varieties. 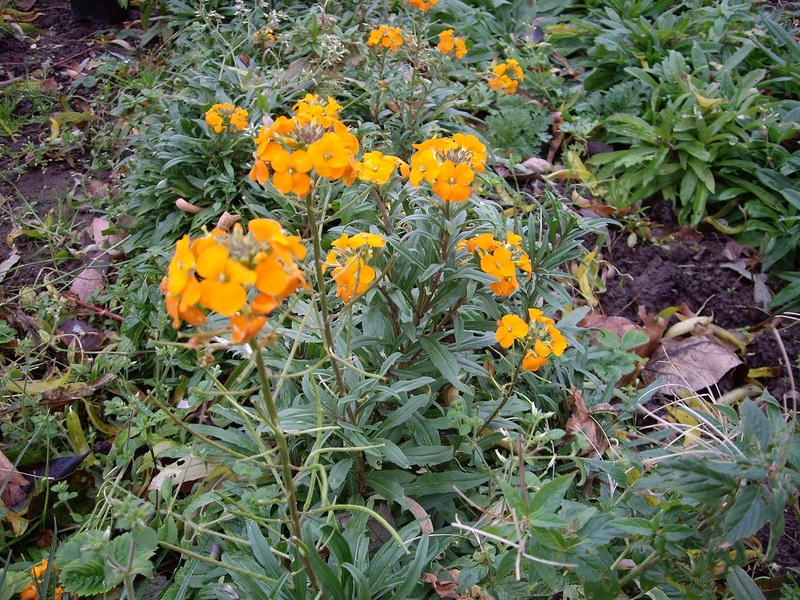 They are also very useful for slotting between other plants in the border. 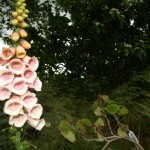 If you remove the first flower spike then numerous side ones will appear as well. As most are biennials they produce a rosette of leaves in year one, then flower in May / June for about a month the following year, so are well worth growing. Their seedheads continue to provide interest into the Autumn. 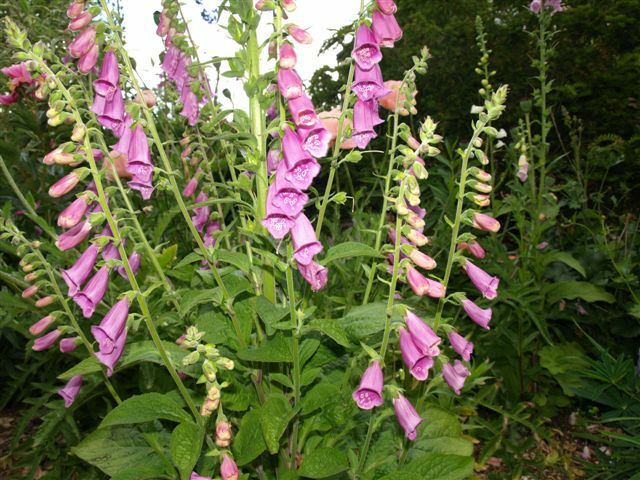 I mainly grow the common Digitalis purpurea (pictured), the purple coloured foxglove, together with its’ white partner, purpurea f. albiflora. I sowed some Digitalis ‘Suttons Apricot’ seed last year and these are really nice, a soft peachy pinky colour which looks lovely with most other garden plants (pictured). Cotinus, pink Achillea and Hesperis (sweet rocket- in shades of white and lilac) match well in the border, or combine with ferns and hostas in woodland or shady areas. 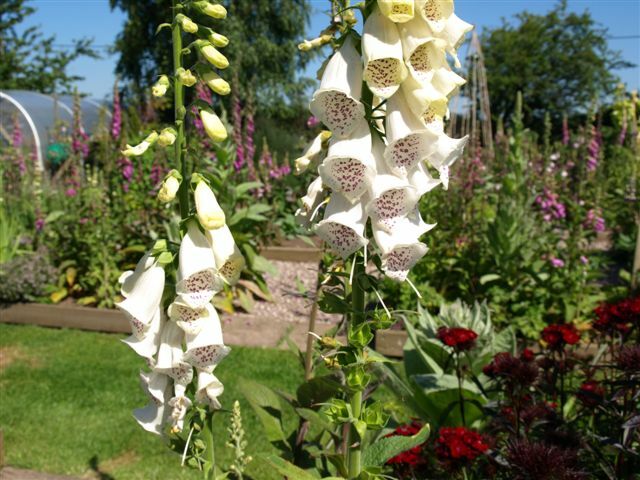 I have also grown Digitalis x mertonensis which is meant to be fairly perennial but it only lasted one year for me. 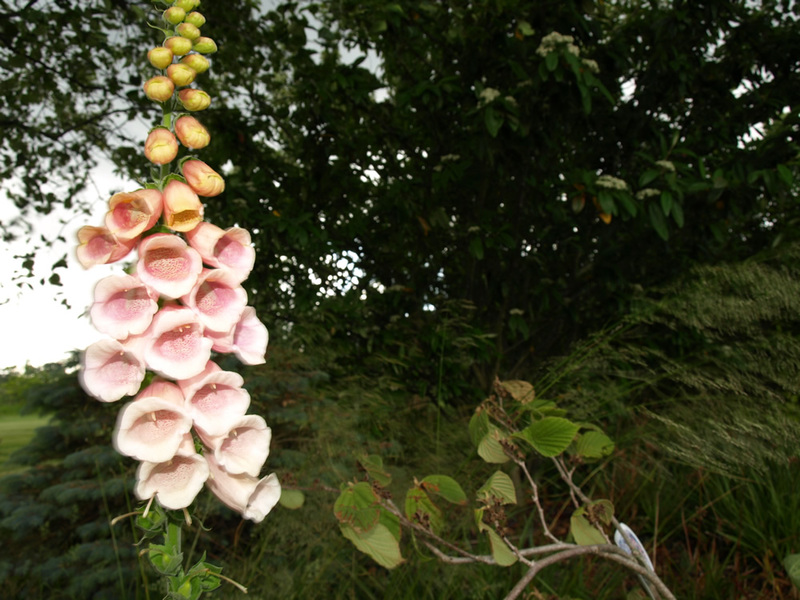 It is a lovely foxglove though, looking like strawberry mousse, and is smaller than the purpurea varieties. The perennial foxglove, Digitalis lutea produces lemon yellow flowers. These flowers are much smaller and denser than the purpurea types and lasts for many weeks. I love watching the bees trying to get pollen from the small flowerheads.